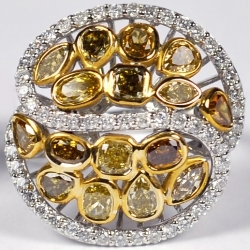 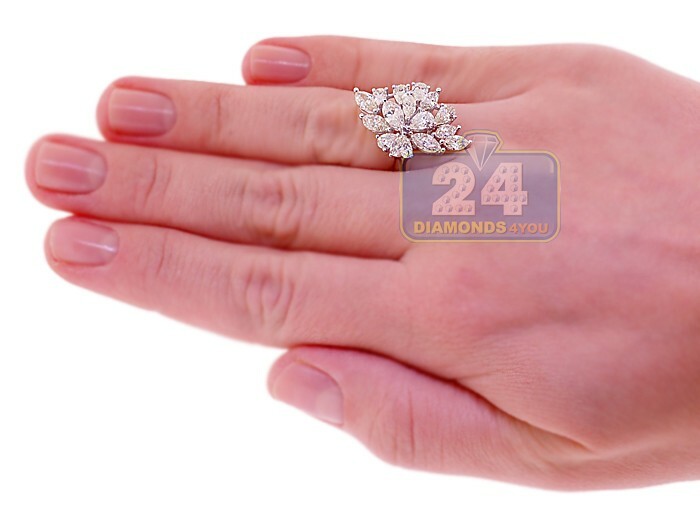 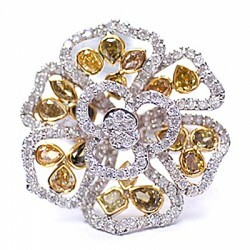 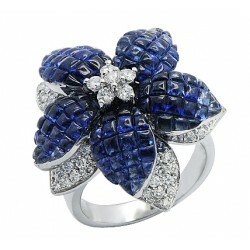 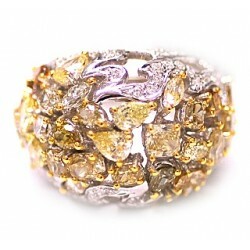 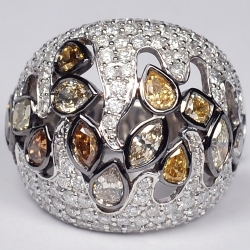 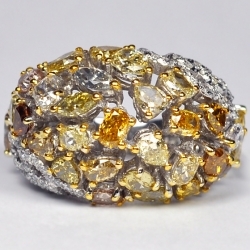 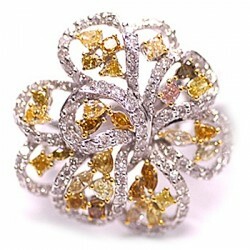 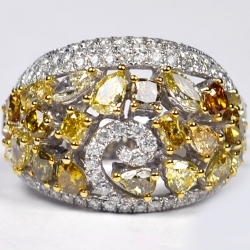 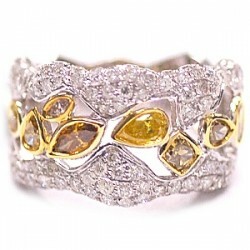 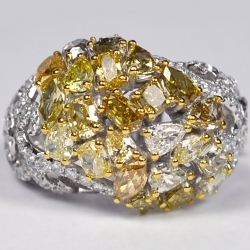 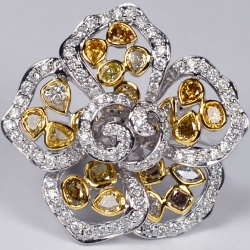 Our exquisite diamond ring is a truly special piece! 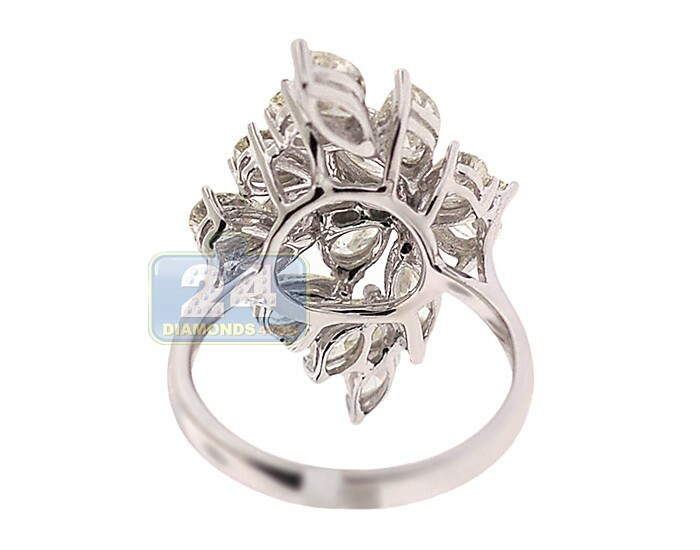 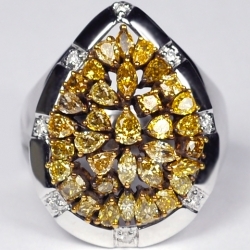 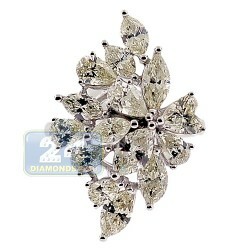 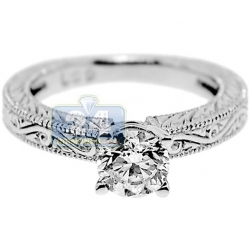 Shiny polished setting in cool 14k white gold features an unique floral inspired design, and gorgeously encrusted with natural light fancy yellow marquise cut diamonds totaling 4.45 carat. 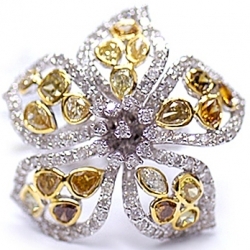 Each brilliant is hand picked to be VS1-VS2 clarity which makes it completely eye clean. 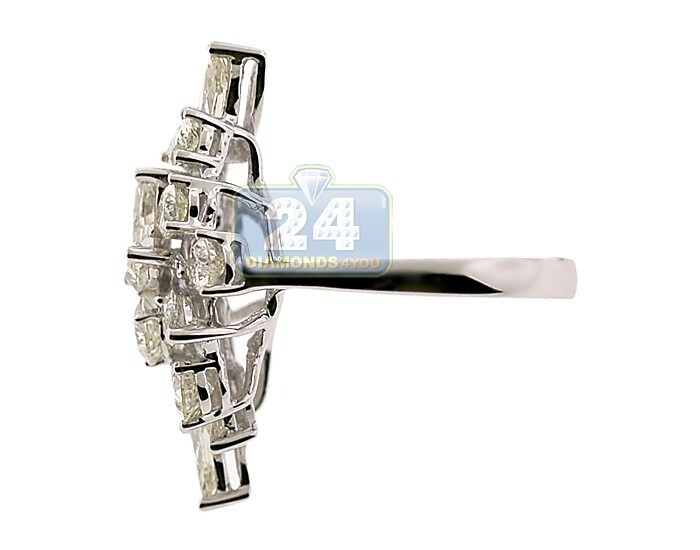 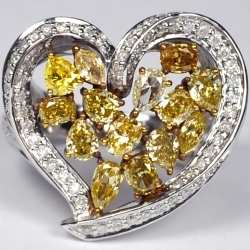 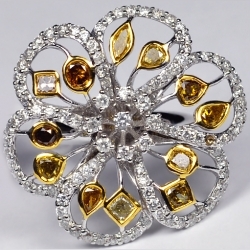 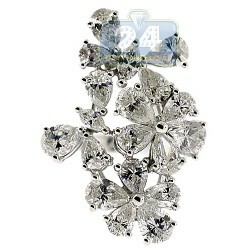 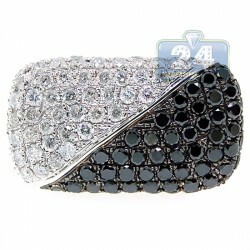 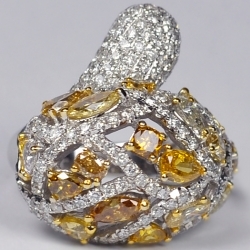 Absolutely great jewelry piece for luxury vintage jewelry lovers!